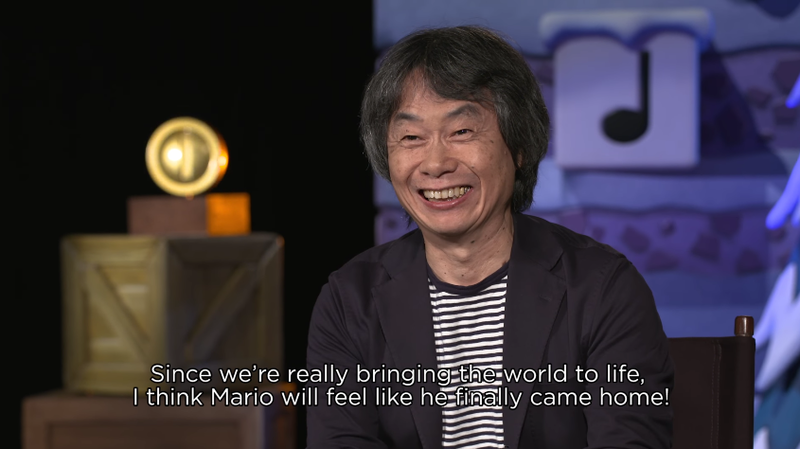 I'm a lot more tempted to take screenshots of Miyamoto's parts in that trailer, since they're already captioned on-screen. Woodbury's are, too, but they're captioned in Japanese so Nintendo can use the same video to show to their Japanese fans. Maybe that means the Osaka, Japan one will be full of Fire Emblem or something. And they'll get that Kirby Café in there. Meanwhile, Americans might be stuck with getting kidnapped by Mario dragging them into a warp pipe. If Shigeru Miyamoto opened his eyes once in a while, he might avoid getting abducted. While it's clear that both Nintendo and Universal feel like this is a mutually-beneficial long-term agreement that will bring a lot of value to the fans and customers, I can't help but feel nervous that Nintendo is making deals with the likes of the worst cable company Comcast, the parent owner of the worst “news” organisation NBC, which is the parent owner of Universal, which may or may not be the worst major film studio. You could say that going that far up the chain of command is unfair criticism on my part, and you might have a point. We don't know yet. It's speculation, but is it wrong for me to do that? 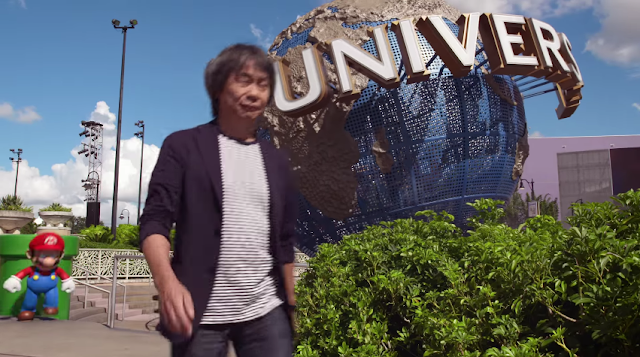 The hype for Nintendo and Universal teaming up to begin with comes just from speculation. Certainly, it does not come from anything we've actually seen so far, which is still pretty much nothing but two guys talking in a room about how excited they are. If that's enough to get you to try to pre-order (not that you can pre-order a theme park ticket, right?) and be first in line, KoopaTV's staffers would be happy to direct you to live reaction logs about us being hyped over something. I guess we don't have a live reaction log about us getting excited about a future KoopaTV project, but if you really want one of those, we can make one for you. It might come off as a little fake, but what do you think that trailer was?! Ludwig will never go to a Universal theme park anyway, so there's no point in him getting hyped in it. He's somewhat concerned about the unlikely event where they'd have some dude dress up in a Ludwig Von Koopa costume and stalk children, and what that would do to his reputation. ...Possibly nothing. What are YOUR thoughts on the UniversalXNintendo collaboration? ...Perhaps Mario's hat is looking for a new Japanese host, and this might also give an idea of where the other end of that warp pipe is. Nintendo has been transforming to being more liberal with its licensing process for quite some time now. I sure hope the Zika vaccine will be made and widely available by the time the Florida branch opens up. ...THAT'S what went through your mind? I wouldn't go to another theme park even if you paid me. Nintendo Land is good enough for me. I also have a grudge against Team Rollercoasters. Remember how Nintendo had a guy at the Los Angeles Zoo wearing a Donkey Kong suit? And then he sued Nintendo after claiming that the heat and lack of breaks tore his aortic walls? Yeah! That was Kamek's one and only article. Well, not the lawsuit part. I never heard about that. I may go there in the far-off future. I'm not really near a site, but the California one isn't that far. Worth going to at least once in my opinion. For now, I'm glad that I've convinced my mom to take me to one of the Zelda Symphony concerts. Next weekend! Awesome! Be sure to let Vortexica know how your experience was! "I'm excited to be going to a Zelda Symphony performance near me this December!" Good to know that it's the first part of December then.